What is Pineapple Poker? For those who are not familiar with the Pineapple Poker rules or how to play Texas Hold’em, this article explains the rules and provides some tips on the optimum play. The dealer is chosen at random at the start of the game and is often indicated via some sort of token. 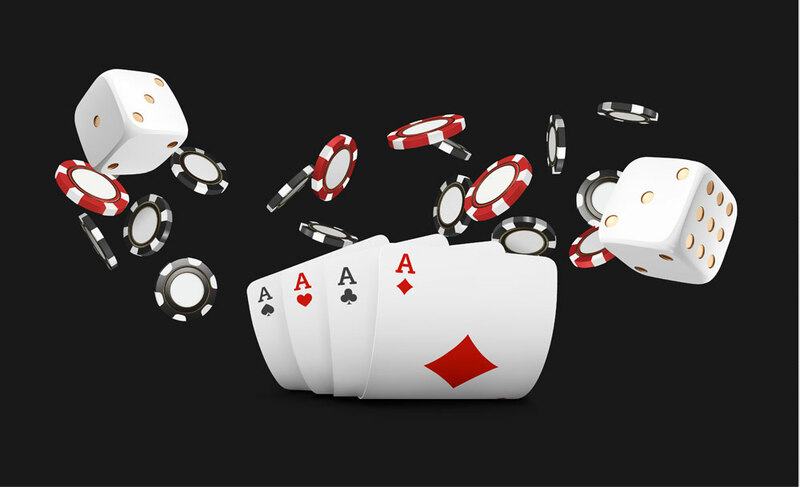 After each hand, the player to the dealer’s left becomes the next dealer. The player to the dealer’s left has to place a forced wager known as a “small blind”. The player to that person’s left has to place a larger forced wager which is called the “big blind”. The big blind is always twice as large as the small and it is determined by the table’s stakes. If it is a no-limit game, then the blinds will be set by the house. It is usually determined by taking a fraction of the maximum buy-in, although this is not always the case. Each player is dealt 3 cards one by one after the blinds are placed. After every player has received all the cards, each player chooses and discards a card. Then, starting with the player to the left of the big blind, players take it in turns to either fold, match the big blind or make a raise. This continues until every player has either folded or called the most recent raise. The dealer deals three cards face-up in the middle. This is the flop. These cards are used with the three cards each player kept to make the best five-card hand possible. After the flop betting round has finished, the dealer adds another card beside the flop. This is known as the turn card. At this point, another round of betting takes place in the same manner as before. Finally, the fifth and final card is added to the river and the last round of betting takes place. Once the final round of betting has concluded the players must make the best poker hand of 5 cards using the 5 community cards and the two in their hand. Like a standard Hold’Em game, players can use any number of their hole cards. 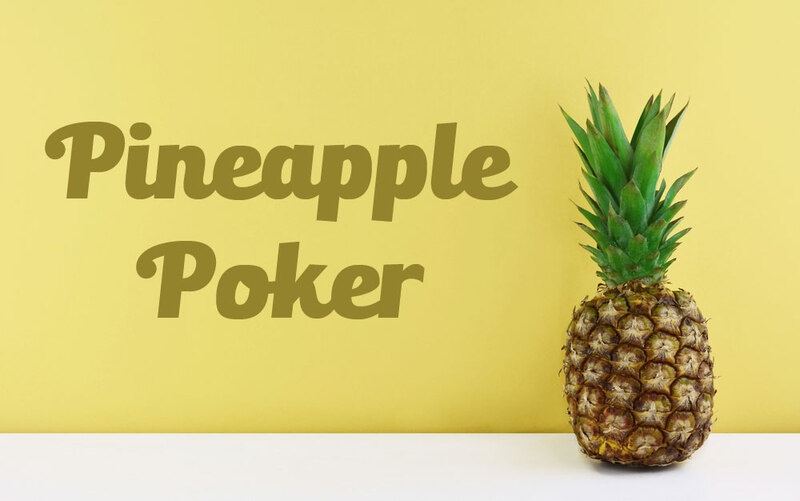 A common mistake for players who are just beginning to learn the Pineapple Poker variants is to use the same strategy as they always used when playing Hold’em. To help combat bad habits, the following tips have been designed to help players get a handle on a solid Pineapple strategy. For experienced Hold’em players, there is a similar strategy that can be used to win games. The key thing to remember is that in Pineapple poker, the average winning hand has a higher value than one in Hold’em. That is, there are going to be more sets and full houses occurring since players are more likely to hold onto a pair pre-flop. Players that have previously played Omaha poker are probably familiar with the idea that the nuts are essential for any winning hand. While this is not strictly true in Pineapple, it is a good mindset for a player to have when trying to imagine what may be in the hands of their opponents. Of course, this is not always true even in Omaha poker but it is a useful mindset for a player to adopt. This is even more important when it comes to playing one of the other Pineapple poker variants. The best possible hand could easily belong to someone at the table, particularly if they are betting confidently. The second best and third-best possible hands are even more likely to turn up somewhere. Any players that find themselves holding on to the third best hand need to get out of the pot before they simply lose. This is even truer in the worse scenario of drawing into the third or even the fourth best hand. Once the idea of relying on better hands has sunk in players will find that they win games of Pineapple much more frequently. This is equally true whether they are playing online poker or with physical cards and chips. With experience comes the correct mindset and then it is a simple matter of adjusting play to suit.